DIAMONDS may be a girl’s best friend, but they have done few favours for investors over the past few years. Right now, the diamond equity market is reminiscent of that famous description of an Elizabethan drama: “The stage is strewn with rushes in the first act and corpses in the fifth”. Presentations and interviews at the Investing in Africa Mining Indaba last week revealed a situation where the downturn in prices for lower quality, cheaper diamonds has hammered a number of diamond juniors which are hanging on grimly hoping for a turn in the market. One of the messages from a Global Diamond Roundtable – held at the Indaba and chaired by Des Kilalea of Canaccord Genuity – was that a lot of hope is being pinned on the apparently imminent demise of Rio Tinto’s Argyle mine which for decades has been the world’s dominant producer of cheap diamonds. 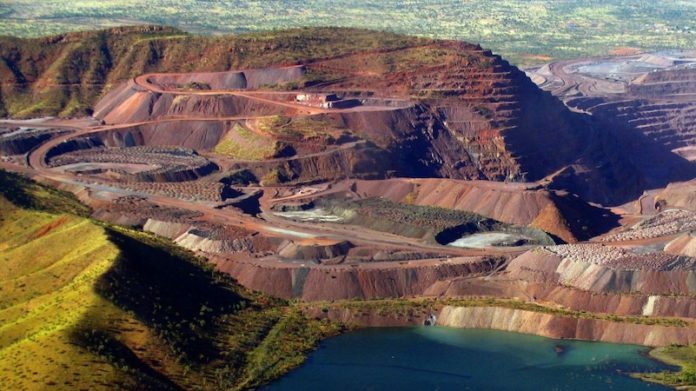 Argyle, which is currently producing around 14 million carats annually, is now winding down its operations rapidly and expected to be closed by 2021. One of the juniors most affected is London-listed Firestone Diamonds which has been hit by a double-whammy: falling diamond prices plus a failure to generate the anticipated number of large, high-value diamonds from its Liqhobong mine in Lesotho. The recovery of such high-value gems has been the saving grace for a number of other juniors such as Gem Diamonds’ Letseng mine, also located in Lesotho, and Lucapa Diamond from its Lulo operations in Angola. Firestone management had expected its operation to recover their fair share of large diamonds but that has not happened despite the mine successfully hitting nameplate production capacity; achieving the forecast grade and beating working cost estimates. According to CEO, Paul Bosma, the financial planning for the mine was done at an anticipated revenue of $107/carat but the mine is currently averaging just $75/carat. “The reason for that is two-fold. Diamond prices have taken a big dip since 2013 when we valued the diamonds and this is affecting everyone”. According to the Firestone presentation a basket of diamond producer stocks were down 28.9% in 2018 following a decline of 17.3% in 2017. But the Firestone share price has taken a particularly bad beating. Firestone shares traded as high as 59 pence at the end of 2016 but plunged to around 6.4p by the middle of 2018 and have carried on down to sit around 2.6p currently. “The second component is the frequency of special stones. We have had a couple but these have been fewer and further between than what we expected. The jury is still out because we have only been mining for a year and a half. Bosma said Firestone’s strategy was to structure its balance sheet so it could sit out the current depressed market until conditions improve. The company held a rights issue which raised $25m and has restructured its senior debt arrangements with ABSA, a South African bank. He pointed out Firestone sat with a cash balance of $26.2m which was greater than the company’s market capitalisation of $20m.